What is Europe planning for Open Science? 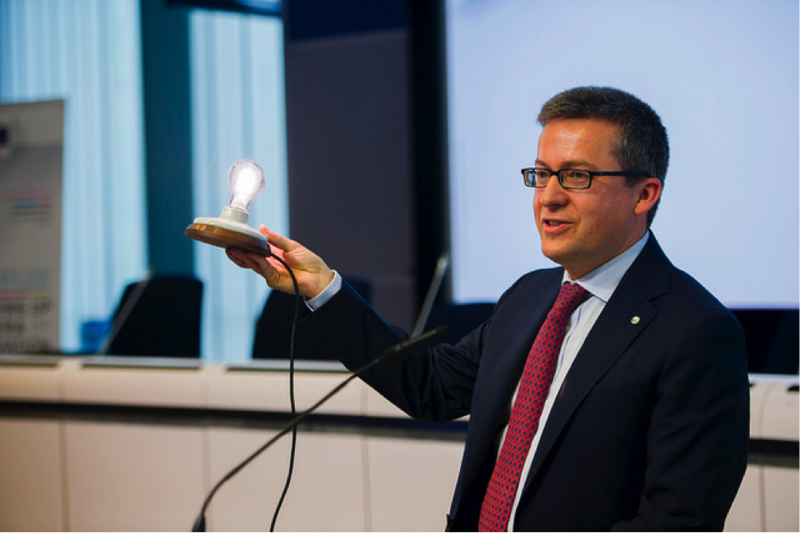 On Monday, June 23rd the European Commissioner of Research, Science and Innovation Carlos Moedas hosted a conference titled “Opening up to a new ERA of Innovation” in Brussels. The first day focused on Open Science; needless to say, we carefully listened to what the EU has on its mind. To open the conference, Commissioner Moedas revealed his aims for the European Commission’s Agenda. The three major agendas are Open Science, Open Innovation and Open to the World. The European Commission looks to support Open Science with the introduction of an “EU-Open-Science-Cloud” for researchers to store their data using a central infrastructure. The precise definition of such a cloud remained elusive during the discussions. It was made clear that it should be service-oriented, discipline-specific and respect patients’ rights. Surprisingly, the whole discussion about institutional repositories’ potential and how the Horizon 2020 program could incentivize their establishment was completely set aside. There were also many calls for the need for different metrics in science and about a lack of incentives to conduct Open Science. Open Innovation is mostly about involving many actors in the innovation process and creating the right ecosystem. Bringing researchers, entrepreneurs, users, governments and civil society together leads “further and faster towards open innovation” Moedas said. A European Innovation Council has been suggested as a big plan for the Horizon 2020 midterm review, similar to the already existing European Research Council. “Open to the World”: The European commission plans to engage more in Science diplomacy partnerships. Bio: Peter is a medical student from Berlin tackling the last years of his degree. When he doesn’t spend his days in the hospital he tries to address issues revolving the current research system. Peter served as project coordinator of the 25. European Students’ Conference in 2014 in Berlin featuring the topic “Rethinking Medical Research”.